Rarely does a locally-made movie entertain and inspire you to think at the same time. Heneral Luna, the sleeper hit of 2015, is the quintessential movie under this category. Not only did it become the highest grossing historical film in the country, but it also broke barriers in an industry that has long favored profit-driven, run-of-the-mill films over potential movie classics. 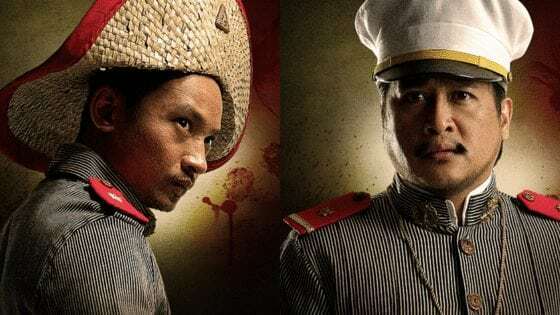 Were it not for Artikulo Uno Productions that took a risk in giving life to this movie, ‘Heneral Luna’ probably would have been shelved forever, depriving us of a magnum opus that now reminds us of our own shortcomings, of the Filipinos’ long history of repeating history itself, and our reluctance to face our biggest enemy–ourselves. 1. Antonio Luna died at the age of 32 while John Arcilla was already in his late 40’s at the time of filming. 2. It’s based on a script written almost two decades ago. 4. Director Jerrold Tarog is the drummer in Heneral Luna‘s music video. 5. Actor John Lloyd Cruz was shortlisted for the role of Heneral Luna. 6. It was rejected by mainstream producers. 7. 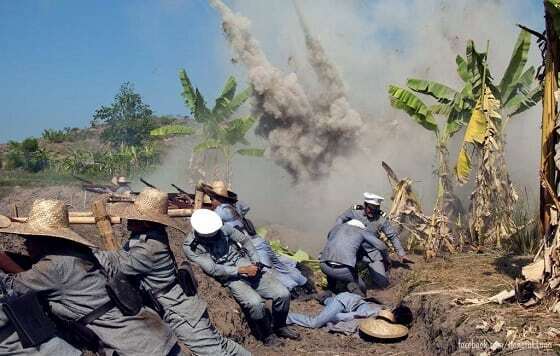 The trenches were based on many photographs of the Philippine-American War. 8. Isabel is a composite character. 9. 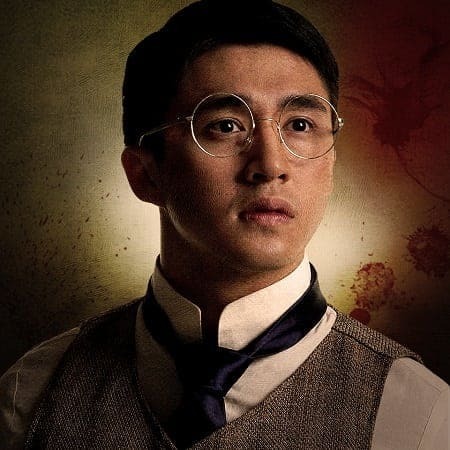 Joven Hernando (Aaron Villaflor) is a fictional character. His name means “young” or “youthful” in Spanish. 10. Lieutenant Garcia was a real person. 11. The “flashback” scene was done in a single shot and without much help of computer graphics. 12. Gen. Antonio Luna was a good guitarist in real life. 13. The real Paco Roman was a rich businessman who sided with the Spaniards during the Revolution. 14. The train station scene was based on real events. 15. Executive producer Fernando Ortigas made a cameo appearance in the film. 16. John Arcilla had to grow a Luna-style mustache for the movie. 17. Artikulo Uno Productions was named after a decree issued by Gen. Antonio Luna. 18. Gen. Tomas Mascardo’s mustache has a hidden meaning. 19. Film producer E.A. Rocha also acted in the movie. He played the role of Maj. Gen. Elwell Otis. 20. All the ships on the port scene were added digitally. 21. 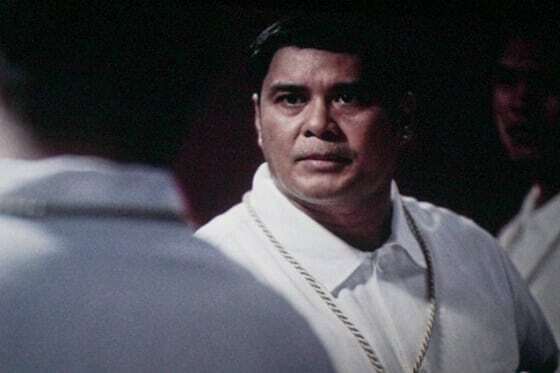 It’s the second time that John Arcilla appears in a historical movie that has Antonio Luna as a character. 22. The story behind the “Spoliarium” scene. In 1998, Eduardo “Ed” A. Rocha and Hilarion “Henry” Francia were commissioned by Cirio Santiago to write a script. It was supposedly for a TV series that would be released just in time for the centennial celebration of the Philippine independence. The said TV show never materialized, but the script was revised several times for a full-length film that didn’t push through either. 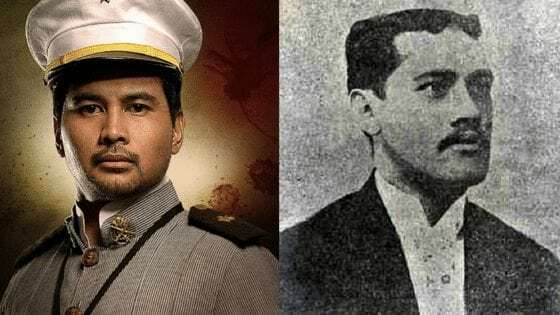 Several years later, Jerrold Tarog thought of writing a script on Antonio Luna. After hearing about Rocha’s script, Tarog asked the latter if he could work on it instead of starting from scratch. E.A. Rocha agreed and would later become a co-writer and producer for Heneral Luna. Before it was rewritten by Tarog, the original script featured a composite character named “Mascolino,” who has the characteristics of both Capt. Janolino and Gen. Tomas Mascardo. However, director Tarog decided it would be better to separate the two in order to explore and highlight their characters. Unbeknownst to many, Heneral Luna director Jerrold Tarog is a musician by heart. After a lackluster performance in an agriculture course, which he took at UP Los Baños for lack of a better choice, he went to UP Diliman to pursue music. After graduating, Tarog, a skillful drummer since grade school, joined a heavy metal band and played drums for years. As fate would have it, Tarog had his first immersion in the film industry when he was hired to write musical scores for Dante Mendoza and several Bong Revilla movies. It was during this time when he began experimenting and shooting short films, one of which earned an award at the 19th Gawad CCP. His biggest break, however, was when his first feature film “Confessional,” produced by Cinema One Originals, won international awards in 2007. Still, the things he learned from the UP College of Music were never wasted. His exposure to different musical styles during college enabled him to compose the score for the Heneral Luna movie. 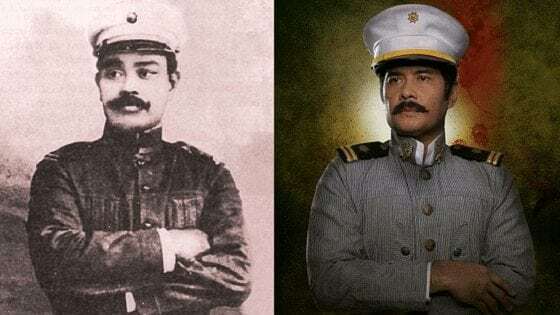 Although it’s hard to imagine actors other than John Arcilla playing Heneral Luna, it should be noted that a younger thespian was once considered for the project. Director Jerrold Tarog, who was also involved in casting, said that John Lloyd Cruz would have been their first choice had they pursued a “purely commercial path.” But since they chose integrity over commercial success, they picked a less famous actor instead (although John Lloyd could have been a good choice as well). 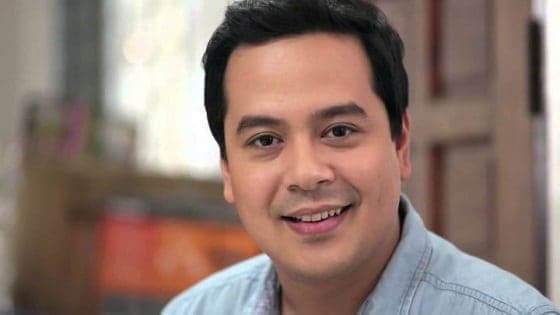 The word about the project never actually reached John Lloyd Cruz, and his other commitments at that time would have also prevented him from joining the Heneral Luna movie. As with other success stories, making the Heneral Luna film was not all beers and skittles. Looking for someone to bankroll the project, Tarog first approached mainstream producers–including Imee Marcos and Regal Films–but they all thought it’s too “historical” and therefore a potential dud in the box office. Fortunately, E.A. Rocha, co-writer of the original script, is close friends with Fernando Ortigas. The latter is a businessman and a frustrated artist who had the financial resources to bring the project to fruition. As soon as he received the revised script, Ortigas agreed to bankroll the film. It was also perfect timing: He later told Rocha that “had he gotten the script a week before, he would have thrown it in the trash can” for he wasn’t prepared yet to invest in movies during that time. Ortigas was also the producer behind “Bonifacio: Ang Unang Pangulo” which starred Robin Padilla. 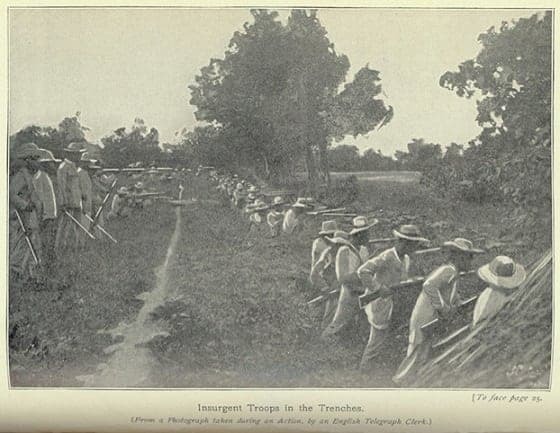 The caption published with this photograph reads: “Insurgent Troops in the Trenches. (From a Photograph taken during an Action, by an English Telegraph Clerk. ),” from Francis Davis Millett, The Expedition to the Philippines (1899). Source: Library of Congress. LEFT: Isabel, a composite character played by actress Mylene Dizon. Photo Credit: Heneral Luna The Movie Official Website. RIGHT: Conchita (Concepcion) Castillo, who would later marry Galicano Apacible. Photo from “Galicano Apacible: Profile of a Filipino Patriot” by Encarnacion Alzona. Her name strangely sounds like “Ysidra,” and no less than director Tarog himself confirmed in a CNN Philippines interview that the similarity is a “wink” to the conspiracy theorists who continue to believe the rumored Luna-Cojuangco affair. 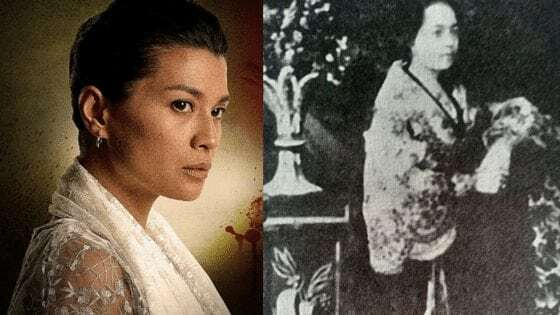 In reality, Isabel is a composite character, a combination of the different women who may or may not have been romantically involved with Antonio Luna. Among them are Nicolasa Dayrit, the beautiful maiden from Pampanga who once helped settle the conflict between Luna and Mascardo; and Nelly Boustead, who was at the middle of a love triangle involving Luna and Rizal. Photo Credit: Heneral Luna The Movie Official Website. In the movie, Lieutenant Garcia was portrayed by veteran actor Ronnie Lazaro. Photo Credit: Heneral Luna The Movie Official Website. Luna was so impressed with Garcia that he appointed the latter as commander of the Black Guard, a guerrilla unit composed of 25 specially trained soldiers whose mission was to approach the enemy by surprise. 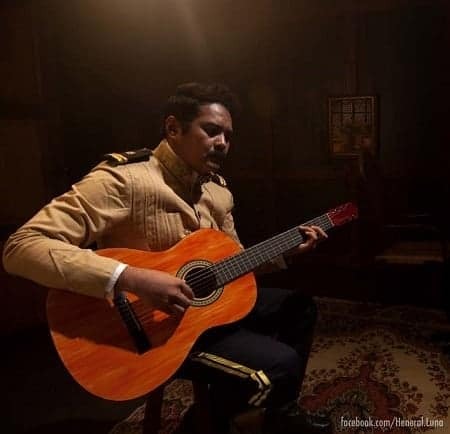 Just like in the movie, the real-life Heneral Luna was good at playing guitars, specifically the bandurria. In fact, his friends in Manila knew him as a bandurrista. The piano didn’t intimidate him either: He even played Franz Liszt’s Romantic piano compositions at a gathering in Malolos during the Philippine-American War, leaving the audience in awe. The son of a Filipina and a Spaniard, Francisco “Paco” Roman grew up in a well-off family who owned a tobacco factory during the Spanish colonial period. His first cousins were none other than the Palma brothers, Jose and Rafael. A former ally of the Spaniards, Roman later became part of Luna’s army as one of the general’s most trusted aides. This article explores the life and death of Colonel Francisco “Paco” Roman. 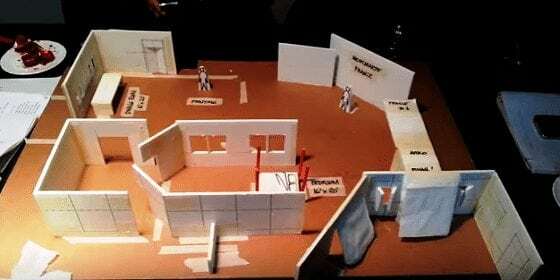 Although the people behind Heneral Luna were given creative freedom, most of the events in the film were based on real historical accounts, one of them being the scene inside the train. The tough-talking general found it so disappointing that some soldiers had the gall to put their families above their obligations and even take them along inside the military train. In one instance in Calumpit, Gen. Luna saw the presidential train crowded by women and children suffering from smallpox. Believing they had no reason to be there, Luna drove them out with a whip–and probably with some expletives, too. Also Read: Did Apolinario Mabini Hold A Secret Grudge Against Heneral Luna? You can see him beside Gen. Emilio Aguinaldo (Mon Confiado) during the dinner party scene. Interestingly, Nando Ortigas also had a brief appearance in the epic 70’s war film “Apocalypse Now” which was shot in the Philippines. Another notable personality who had a cameo appearance in the movie is Alexandra Rocha, host of the TV show “Something to Chew On” and wife of Luis Marcos-Araneta, a grandson of the late President Ferdinand Marcos. The film production outfit behind Heneral Luna was named after a decree issued by the real Luna himself on March 3, 1899. He did it with the hope of stopping the rampant indiscipline among the soldiers and generals in the army. 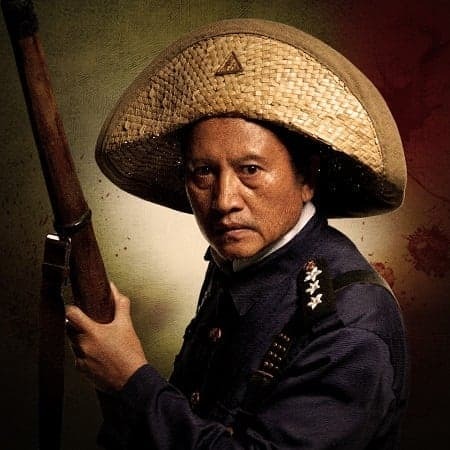 In the movie, Filipino revolutionary general Tomas Mascardo (played by actor Lorenz Martinez) has a partially formed mustache. According to Carmen Reyes, the film’s make-up and prosthetics artist, it was intentional and symbolic. Mascardo’s incomplete mustache reflects the frustration and insecurity he felt towards his rival, Gen. Antonio Luna, who was known for his distinct facial hair. Shortly before Heneral Luna ended, E.A. Rocha’s character, Maj. Gen. Elwell Otis, said that Filipinos killed the only real general that they have. Meanwhile, William Howard Taft, then an American civil governor of the Philippines, considered Luna’s death a heavy blow against Filipino aspirations. 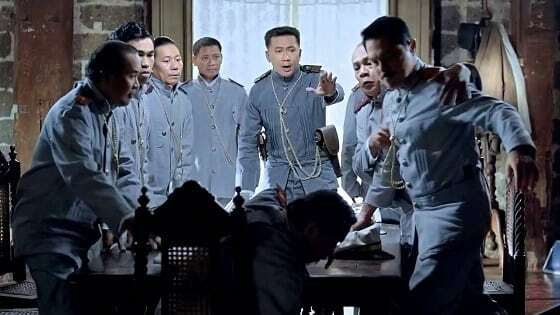 Interesting fact: Before Heneral Luna, Rocha also starred in another memorable period film “Ganito Kami Noon… Paano Kayo Ngayon? (1976) starring the young Christopher De Leon. Rocha played the role of Padre Gil Corcuera. 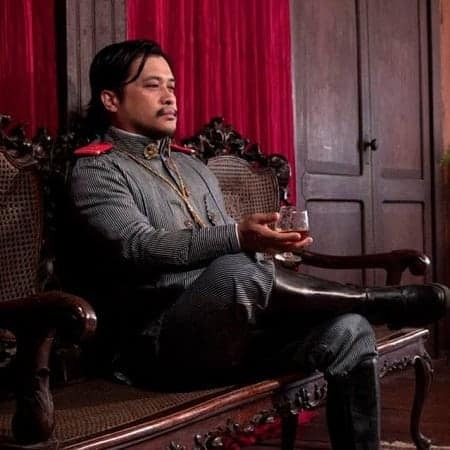 In the 2012 movie El Presidente, which attracted mixed reviews, Christopher De Leon played the role of Antonio Luna. John Arcilla, meanwhile, portrayed Gen. Mariano Trias. 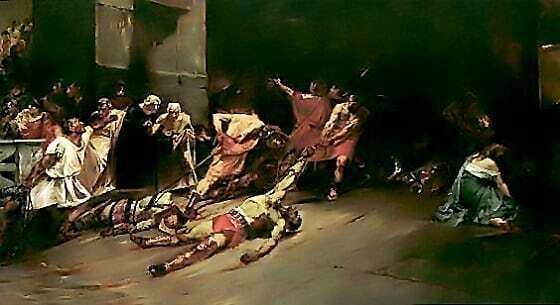 Arguably the most gripping and unforgettable scene in the whole movie, the part when the lifeless bodies of Roman and Luna were dragged by the Kawit soldiers pays tribute to Juan Luna’s famous painting. 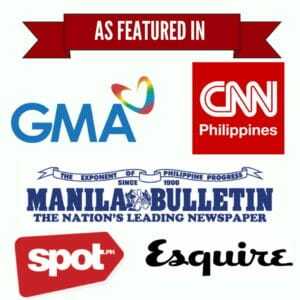 Also Read: Juan Luna: Was The Legendary Painter Murdered? 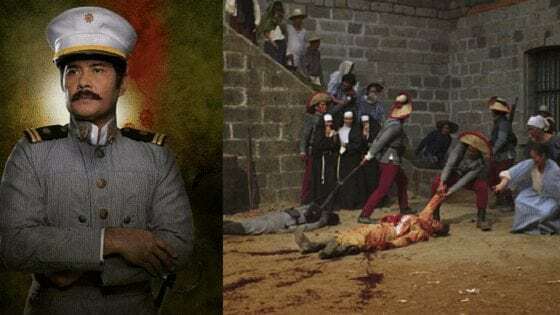 Heneral Luna: The History Behind The Movie. (2015). Mandaluyong City.